Located in Orastioara de Sus, Hunedoara, in Southern Transylvania, this ancient fortress was once the most important military, religious and political centre of Dacia, before the Roman conquest in 106 AD. Dacians are thought to be the ancestors of the Romanians and were documented in 300 BC when Alexander the Great tried to conquer what was then a state founded on a military democracy on the lower Danube. As Emperor Trajan conquered the Dacians, Dacia was soon under an economic and cultural assimilation, with Romans crossing the border and cohabiting with the Dacians. It was built in the 1st century BC on an area of about 30,000 m². It is one of the six Dacian fortresses that constituted Dacia's defensive system: Sarmizegetusa, Blidaru, Piatra Rosie, Costesti, Capalna and Banita. It is an UNESCO World heritage site along with the abovementioned fortresses. The civilians lived around the fortress, down the mountain on man-made terraces. Dacian nobility had flowing water, brought through ceramic pipes, in their residences. The archaeological inventory found at the site shows that Dacian society had a high standard of living. 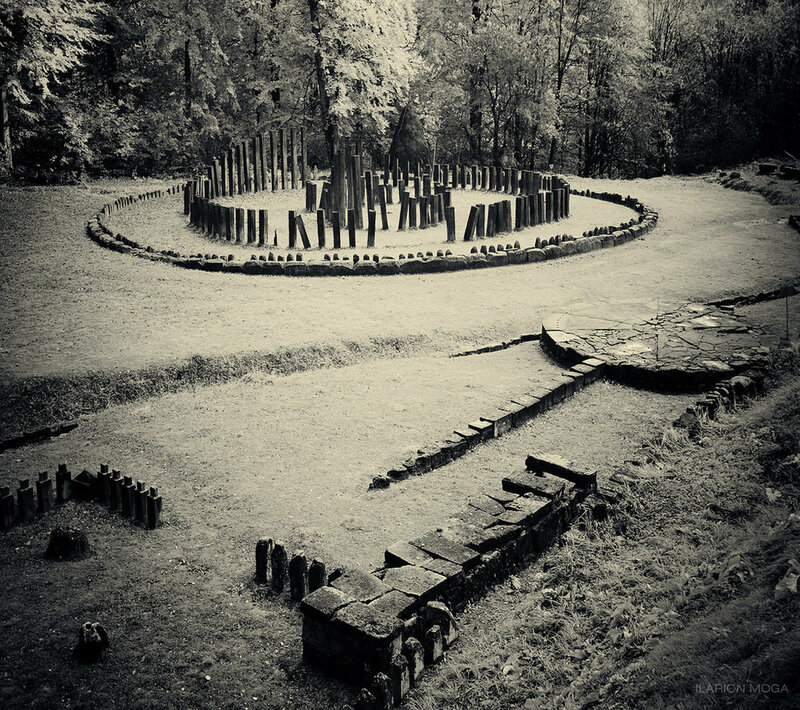 Sarmizegetusa had a sacred precinct—among the most important and largest circular and rectangular Dacian sanctuaries the famous Circular Calendar Sanctuary is included. After the Roman conquest in 106 AD, the capital of Roman Dacia was named Colonia Ulpia Traiana Augusta Dacica Sarmizegetusa, established 40 km from the ruined Dacian capital. Neighbouring Ulpia Traiana Sarmizegetusa and Sarmizegetusa Regia, this old city hosts the Arboretum, a protected dendrological park, 3rd place in Europe and 11th worldwide. Geoagiu Bai, known as the "Germisara Roman Thermal Baths" since archaic times is located on the right bank of the river Mures, in a depression formed by the latter branch of the Metaliferi Mountains. 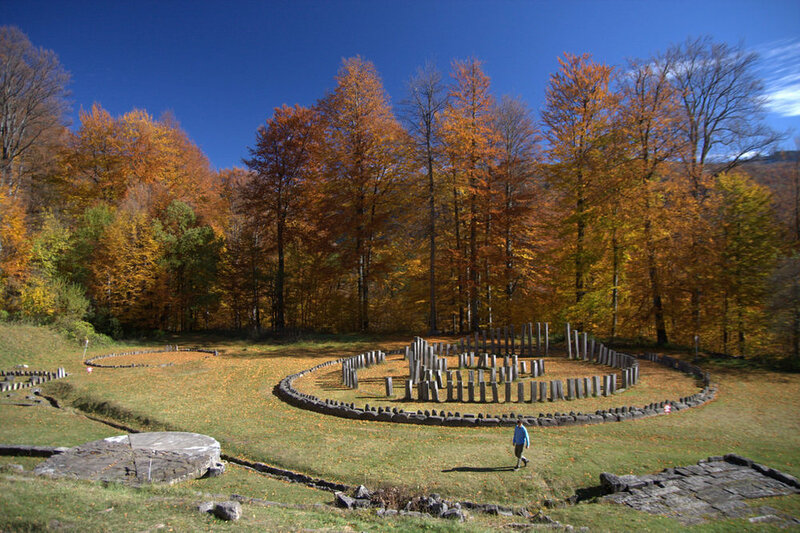 Plenty of minerals can be found in the hot springs of the Germisara waters and many historical monuments are scattered around the superb landscapes (forests filled with oak, beech and pine trees etc.). Transylvania is undoubtedly one of the most beautiful regions throughout Europe, with splendid architecture and fortresses, picturesque scenery and a vibrant cultural life. Located southwest, Alba Iulia is one of the oldest settlements in Romania and throughout the ages it has served as an important military, historical and cultural centre.